Sometimes outraged tabloid newspapers run stories about scientists who have spent x amount of taxpayers money and researched a formula for happiness or beer goggles or the perfect cup of tea. Following on from my post yesterday about what drives people to use legal music download services when there are free (if illegal) alternatives if you know how, I've derived what I think is a broad formula outlining the factors in people making a choice between a legal purchase and an illegal download. This is at the heart of the formula, and the two factors with the most direct impact on the decision. A 79p track that can be downloaded in the space of a couple of minutes, rather than an investment of time looking for it online in a free format will result in a purchase. On the other hand, someone will invest more time tracking down an item that will be expensive to buy, and will download quickly if recently released and at the peak of the P2P sharing cycle. 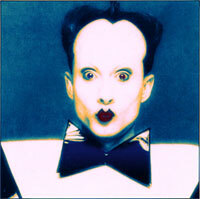 A digitally scarce track (I mean, how many BitTorrent seeds would there be for a Klaus Nomi album?) and the level of desirability (e.g. I'm DJing at a wedding this weekend and they've asked for this as the first track) are two other factors influencing the buy or 'borrow' decision. 'd' acts as a multiplyer to the guts of the formula, whilst 's' acts as a modifier on the cost/effort part of the equation. If someone is purchasing a digital download because it is the first time they have got hold of this music, then the decision is more likely to be purchase. However if the person is trying to obtain a digital replacement of something they already physically own, they will be more inclined towards stealing that copy. And, if as increasingly seems to be the case with my favourite bands, the consumer already purchased the music on vinyl, then on CD, then on a remastered CD because the first edition was done poorly, and is then being expected to shell out again for a 25th Anniversary Surround Sound 64-bit remastered SuperAudioCD edition with bonus tracks, the inclination is much more likely to be steal - with the 'r' now standing for 'resentful consumer' or 'ripped-off'. R should be an integer of one or more, depending on how many times the consumer has purchased the same or similar material by the artist. Most DRM solutions allow the user to burn CD copies of music, which can then be re-imported as DRM-free mp3 files, but that of course is an effort. Some DRM regimes are more restrictive - and certainly in the mobile market music purchases which tie the consumer into a specific network contract or hand-set do not necesarily represent the best value for money. Overly-restrictive DRM acts as a disincentive to purchase for some types of consumers. I'm guessing the value in the formula would be something like 0 for DRM free files from eMusic, and up to 0.5 for the most restrictive types of DRM. Sticking those values together in a formula should give us a value, which when above a fixed threshold means the consumer is liable to steal, and below that threshold the consumer is liable to make a purchase. That suggests that the music industry might be best served in the future by reducing the factors that are likely to push the final result of the equation below the purchase threshold (e.g. the DRM, cost, and replacment values) in addition to their current policy of trying to drive up the risk and effort of using the internet to steal music. the views expressed on currybetdotnet are my own, and do not reflect the views of my current or former employers. By Martin Belam on 9 February 2007. Unfortunately the LRM archive doesn't live on (http://www.lnreview.co.uk/music/should_i_rip_this.html is dead) - If I still have the flowchart jpeg, I'll upload it somewhere for the curious. >> If I still have the flowchart jpeg, I'll upload it somewhere for the curious. 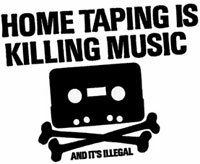 I am fuzzy on this; if I own a copy of the art ( music or video) in a differant form tape or vinyl how am i stealing? I have payed for the art why would the format of the art effect the copywrite? >> why would the format of the art effect the copywrite? I am not a lawyer, but you'll find most DVDs, CDs etc have some legal-speak on them limiting what you are allowed to do with it - i.e. not show them on oil rigs, make copies etc. If you get an illegal copy or make a copy in a different format you are breaking the copyright restrictions. Legally it doesn't matter if you bought it the first time, you still stole by getting the alternative copy for nothing. Seems you're not the only one who thinks this way..